Professor Morgan received his PhD from Rice University in 1969. He was an Instructor and Lecturer at Princeton from 1969 until 1972, an Assistant Professor at MIT from 1972 -1974, and then a Professor at Columbia University from 1974 – 2009. He has been a member of the Simons Center since 2009, and was Director from 2009 – 2016. He has held visiting positions at Princeton, Stanford, Harvard, the Institute for Advanced Study, and IHES. Professor Morgan works in the areas of geometry and topology. His early work was in surgery theory, that is to say the study of high dimensional simply connected manifolds. Some of his best-known work includes the existence of mixed Hodge structures on the rational homotopy theory of compact Kahler manifolds and of open smooth algebraic varieties and a study of the homotopy theoretic consequences of such a structure; construction of a compactification of the space of representations of a finitely presented group into PSL_2(C) by non-discrete valuations and group actions on non-discrete trees; a study of the diffeomorphism types of 4-manifolds, especially algebraic surfaces, using Donaldson Invariants and Seiberg-Witten Invariants; and a study of families of elliptic curves with application to the duality between F-theory and heterotic string theory. He also played a major role in sorting out and verifying Perelman’s proof of the Poincaré conjecture. 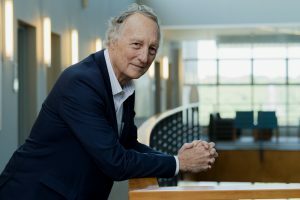 Recently, Professor Morgan has been studying questions about Spin bordism arising from condensed matter physics, and questions in mirror symmetry related to variations of Hodge structures containing integral lattices.